On arrival at Cochin Airport, you will be met and transferred to your hotel. In the evening, enjoy the famous Kathakali dance performed by professional artists. Overnight stay will be at Cochin. Post breakfast, you will be taken to Periyar (Thekkady), one of the most fascinating wild life sanctuaries in India, noted for elephants and scenic beauty. Overnight stay will be at Periyar. In the morning, you will be taken on a boat cruise in the lake to watch wild animals. Visit the spice plantations like cardamom, pepper and tea in the afternoon. Overnight stay will be at Periyar. Post breakfast, you will be taken to Kumarakom. Upon arrival, check into the hotel. Relax at the hotel for the day. Overnight stay will be at Kumarakom. The day is at leisure for your personal activities. Overnight stay will be at Kumarakom. 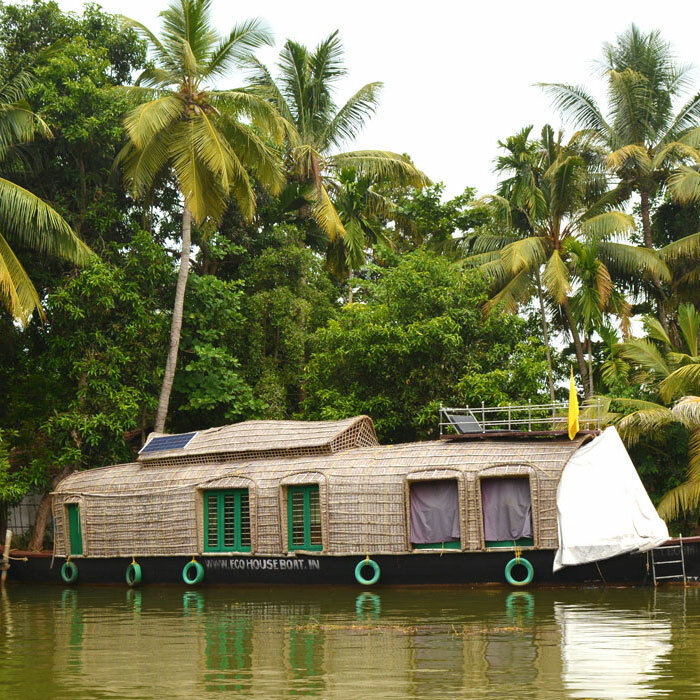 Post breakfast, check in to your “Kettuvellam / House Boat” – to start your thrilling experience through the backwaters of Kerala. During the journey you will enjoy the beauty of the paddy fields, coconut farms and small churches and temples. On board, your crew will serve you delicious food .Overnight stay will be in the houseboat. Check out from the houseboat after breakfast at 10 00 clock and proceed to Kovalam. Check in at the hotel on your arrival in Kovalam. Dinner and overnight stay will be at the hotel. After breakfast, the day is at leisure; enjoy the facilities at the resort. Dinner and overnight stay will be at the hotel. Full day is at leisure; enjoy the facilities at the resort. Dinner and overnight stay will be at the hotel. Check out at 1200 noon and proceed for city tour of Trivandrum and the beaches of Kovalam. Later you will be transferred to the Trivandrum Railway station. Proceed to Goa; overnight stay in the train. Upon arrival in Goa, you will be met and transferred to your hotel. Check into the hotel, rest of the day is at leisure. Overnight stay will be at the resort. Explore North Goa & South Goa. Visit the Fishing village: Fishing villages are part of Goa’s rich cultural heritage. Local Goan fishing village is created on the grounds of the hotel, forming a perfect backdrop for a charming evening in a very rustic atmosphere. Artisans display their skills whilst the village dancers whirl to the music of a local band. Overnight stay will be at the hotel. Full day is at leisure at the resort. Overnight stay will be at the hotel. Free to relax on the Beach. In the evening, enjoy a seafood bar-be-cue on the beach – Dine under a starlit sky on succulent lobsters, jumbo prawns and other local seafood delicacies which form part of a delightful bar-be-cue set up on a lovely stretch of the Goan beach. Overnight stay will be at the hotel. After breakfast at the hotel, you can spend some time for personal activities. In the afternoon, you will be transferred to the airport for your return flight to Delhi/ Mumbai.